Homepage. 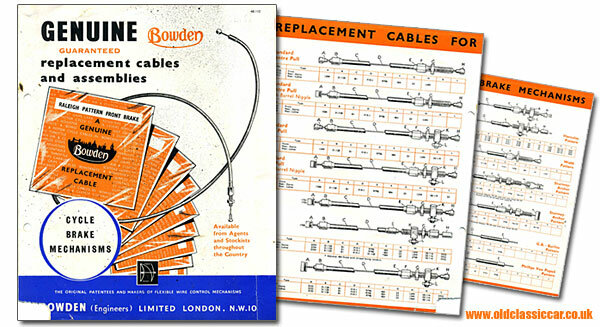 This page: A leaflet describing the range of Bowden cables that were available for cyclists. 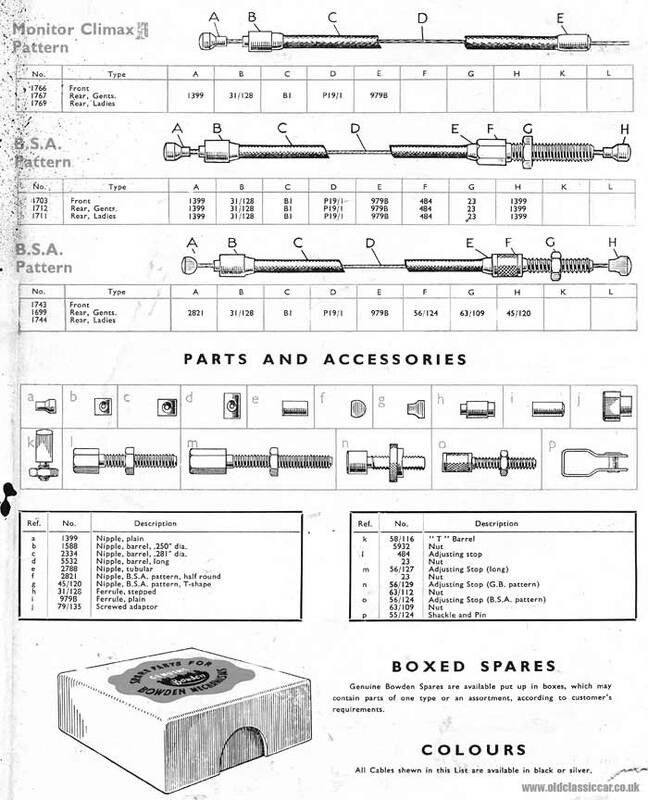 Although many vintage and classic cars also featured Bowden cables within them, this particular leaflet (dating to the 1940s or 1950s) is aimed at cyclists, and bicycle builders. Despite this primarily being a website concerned with matters on four wheels, there is a small section for classic bicycles, and several owners of older cars that I know also have at least one bicycle hanging up in their garage. 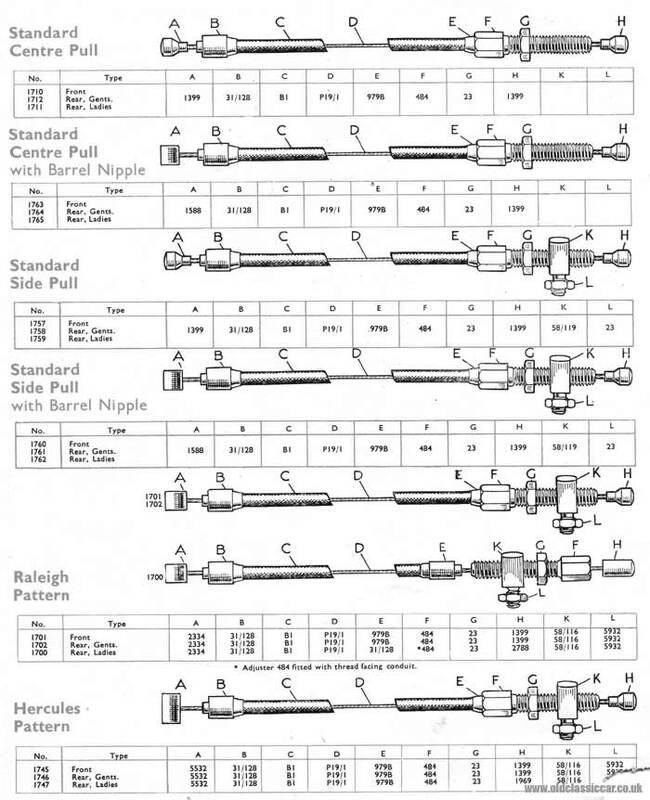 Spare parts, such as ferrules, adaptors, shackles and pins could also be supplied. 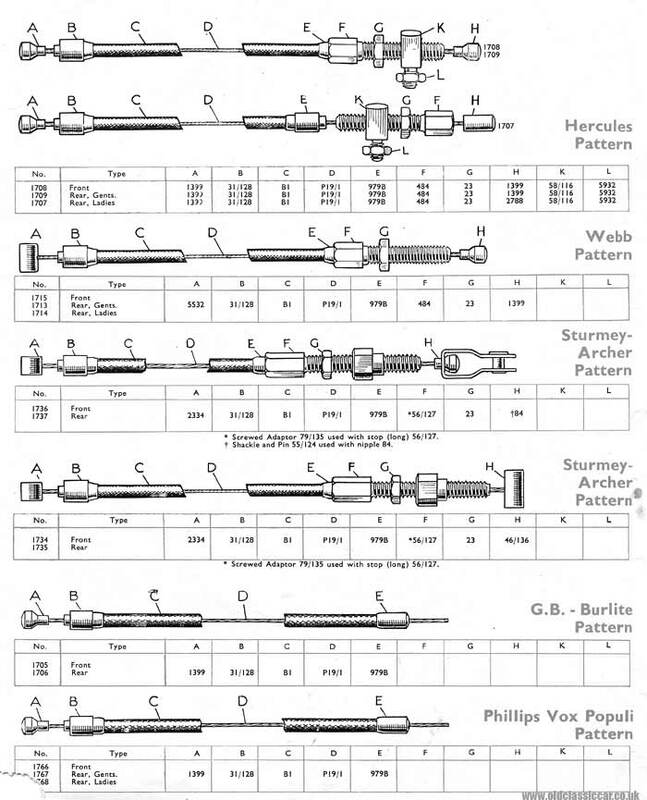 Anyone restoring a vintage bicycle may well find the following scans of use, they show diagrams of all the above cable patterns and quote the part numbers that appertained to them. Scan 1, Scan 2, Scan 3.